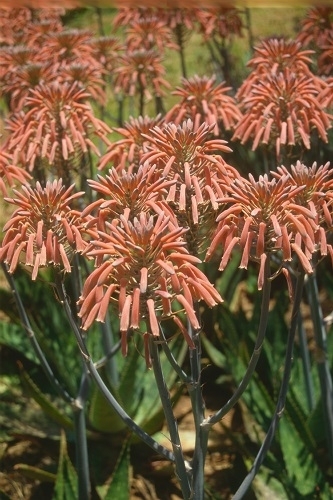 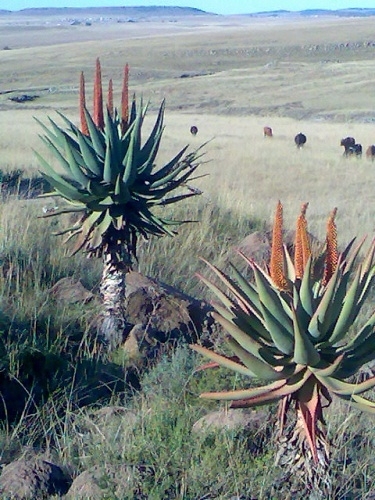 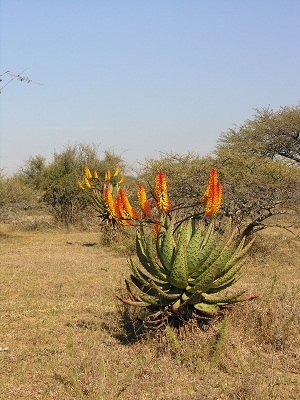 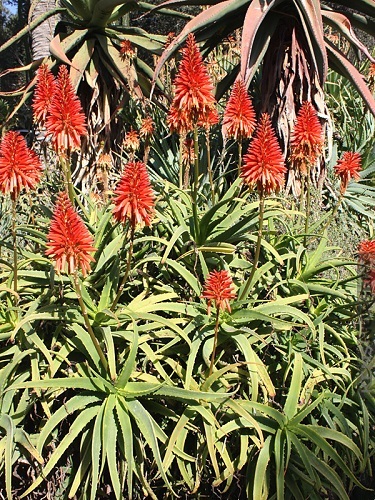 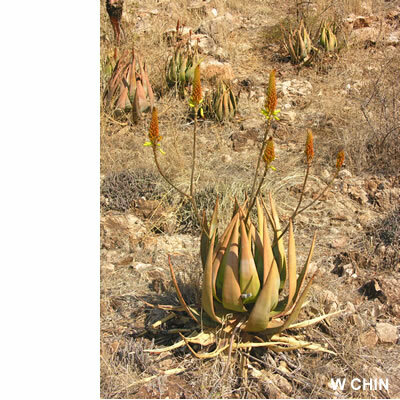 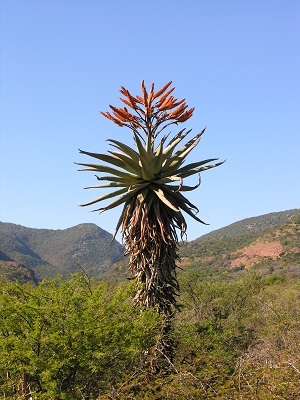 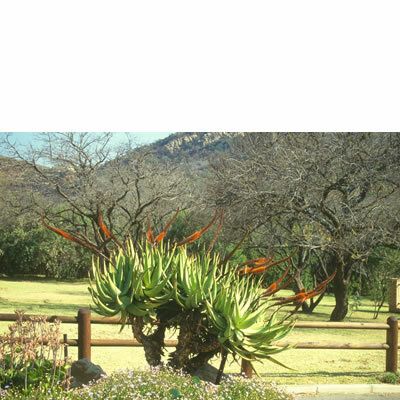 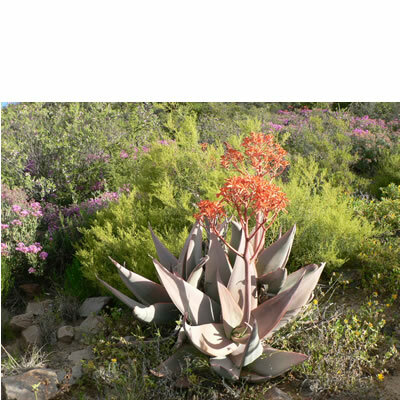 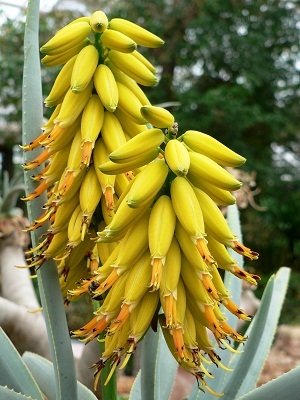 Aloe gariepensis. 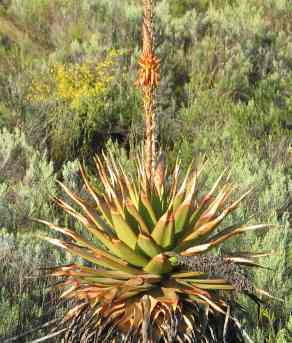 (Aloaceae) Up to 1m high with a short erect stem. 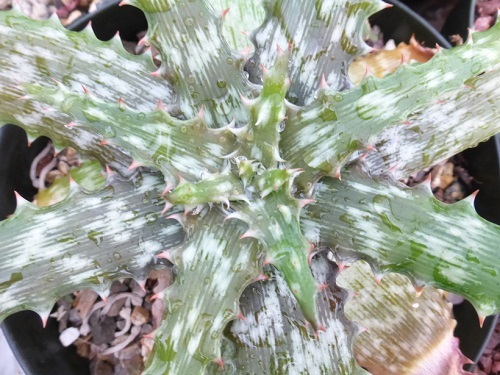 Leaves have a characteristic striped appearance. 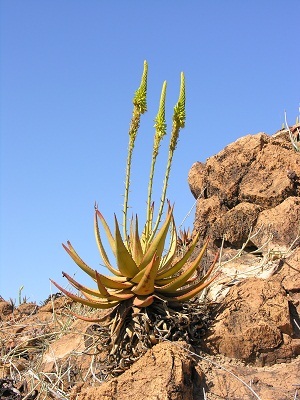 Unbranched inflorescence up to 1,2 m high with yellow flowers.